It is with sadness that we farewell the distinguished architect Ivan Mercep who died this week. As part of the original Jasmax concept group, he contributed extensively to the design of Te Papa that opened on Wellington’s waterfront in 1998. 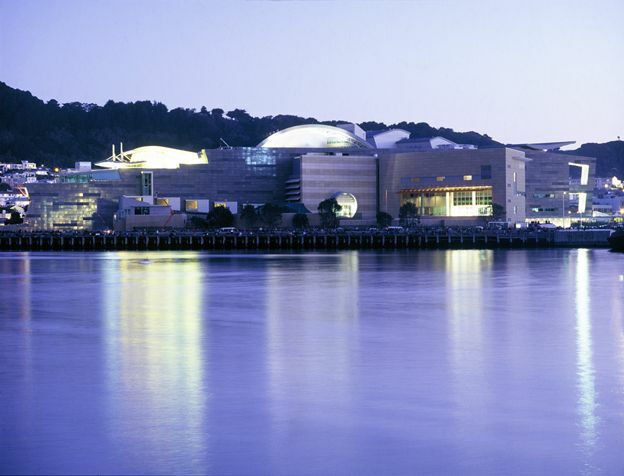 The new building, a major construction project, was to house the new institution, Te Papa Tongarewa Museum of New Zealand, that amalgamated the collections of the National Art Gallery and the National Museum. The building design was strongly bi-cultural in philosophy, and this was reflected in the layout of the internal plan and the designs of special features within the building. Ivan Mercep was born in New Zealand, of Croatian heritage, and graduated from the School of Architecture at Auckland University in 1954. Nine years later, he and three other partners established the architectural firm JASMaD, the forerunner of Jasmax. Mercep contributed extensively to the cultural fabric of New Zealand through both public buildings and churches. Many were designed for Māori and Pacific Island communities, and included the Māori Studies and Marae complex, and the Fale Pasifika, at the University of Auckland; Samoa House, Auckland; Waikato Museum, Hamilton; and the recently-opened Te Wharehou o Tūhoe, near Whakatane, Bay of Plenty. In 2008, Ivan Mercep was awarded the New Zealand Institute of Architects Gold Medal, in recognition of 50 years of service to the industry.